Obituary for Larry Ellis Walburger | Cremation Services of Central New York Inc.
Larry Ellis Walburger, 68, ended his life's earthly journey on 10/2/2018. Larry was a graduate of Tully Central High school, a proud Veteran of the U.S. Navy, was employed by and retired from Black & Decker, and enjoyed photography. 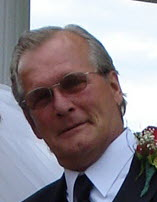 Larry is predeceased by his father, Paul A. Walburger and his brother Paul T. (Tom) Walburger and is survived by his mother, Betty-Jane Walburger; his daughters, Allison (Mike) Cook and Anna (Mike) Walker; grandchildren; Anthony, Dalton and Lyla Cook, Sydney, Isabella and Charlotte Walker; two sisters, Sharon Walburger and Terry Sherman; his long time loving companion, Sandy Smith and her children and grandson; several nieces, nephews and grand-nieces and grand-nephews. There will be no public service. In lieu of flowers, contributions can be made to The American Heart Association or The American Red Cross.